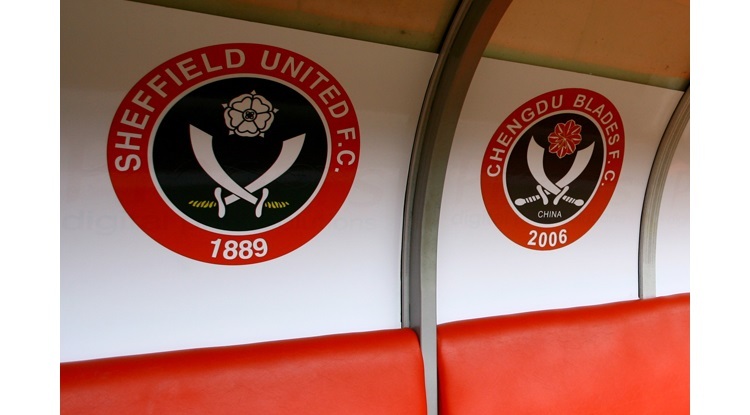 Sheffield United, who had completed four straight victories were up against a Scunthorpe side whom hadn't lost at home since the Blades recorded a 1-0 win their in mid December 2015. The Blades had taken the lead through Chris Basham. The midfielder would have an eventful afternoon when was red carded for a challenge on Neal Bishop. Josh Morris and Duane Holmes both found the net to give the hosts the lead. But with the clock ticking down a penalty, rewarded in favour of United, was duly converted by Billy Sharp. The point shared by both sides was enough to keep the hosts at the top of the leader board at an early stage whilst the Blades dropped to 7th in the table. Boss Chris Wilder made just one change ahead of their visit to Glanford Park with John Fleck replacing the injured Jake Wright (senior). New signing Reece Brown was handed a role on the substitute’s bench. The early opening exchanges saw Scunthorpe go close in the opening five minutes as both O'Connell and Ebanks-Landell were forced to clear their own crossbars and give the hosts the advantage of a corner kick. O’Connell responded by heading over from Fleck's set piece at the other end. With just 13 minutes gone Ebanks-Landell was first to be booked by referee Darren Deadman having caught Bishop late in the tackle. Neither side was able to stake any dominance and scoring opportunities were few and far between, though Fleck's long drive drifted wide. Having latched onto Clarke's long ball through, it would be Dutch striker van Veen who wasted the Iron's best opportunity of the match. It would be a chance he and the hosts would rule to miss. Clarke was booked for a foul on Sharp and from the resulting free-kick, Duffy played a short pass to O'Connell and his angled pass slide through a crowded box to BASHAM who finished one-on-one with Daniels- it was a straight from the training ground routine. Done was booked for a disagreement with Deadman shortly before the break and would be waved at van Veen for a challenge on O'Connell. In the three minutes of injury time which followed, Freeman dragged an effort wide. The second would be full of action and with Scunthorpe keen to retain their lead at the top came out of the traps pretty quick. Moore responded well to prevent any immediate danger from Smallwood from the edge of the area and Lafftery fired wide after Done teed him up. On 55th minute, the hosts got their rewards for some rather neat play. Toffolo and Smallwood combined before van Veen played in MORRIS, and his curling effort beat Moore at his near post. Following Iron's equaliser the game opened up and there was a willingness from the home support to search for another goal. Duffy fired over the top from a good position. But the game swung in the hosts favour, forcing United to rethink there approach when Basham was dismissed for a challenge on Bishop after the United man lost possession. The atmosphere was in full swing following the Blades dismissal with the hosts looking to take advantage of the Blades numerical disadvantage. Morris tested Moore again but the keeper was equal to it this time. Wilder made his first change of the afternoon with Scougall replacing Duffy. The final eight minutes saw further action as HOLMES powerful strike from distance beat Moore to give the hosts the lead. Their lead lasted only a matter of minutes, as United were handed a lifeline when a ball into the box was cleared but Mirfin caught Scougall in the face with a high boot, forcing Deadman to reward a penalty. SHARP unwillingly slammed home the resulting spot kick in front of an excited away end. United frantically defended the final few minutes as Scunthorpe attacked the Blades goal, only to be kept out by a swarm of defenders. Lavery replaced Sharp as five minutes of injury time was added and the two sides played out to a draw. Scunthorpe United: Daniels, Wallace, Mirfin, Dawson (Madden 81), van Veen (Hopper 81), Morris, Bishop, Toffolo, Smallwood, Holmes, Clarke. Unused: Anyon, Wiseman, Adelakun, Mantom, Goode. Sheffield United: Moore, Fleck, O'Connell, Basham, Sharp (Lavery 90), Done, Coutts, Freeman, Ebanks-Landell, Duffy (Scougall 76), Lafferty. Unused: Ramsdale, Hussey, Brown, Whiteman, Chapman.